WWest Communications provides many service options to its customers. From call waiting to additional lines, WWest Communications is here to serve you! For added convenience, a second or third incoming line can be installed to your home or business. We also offer a “trunk-hunt” feature so callers can reach you on one or more additional lines by dialing the main number. We have more than two dozen calling features available to simplify your life at home and at work. Follow this link to our calling features page for a list and complete details. Off-premise extensions offer the convenience of extending your telephone line to your garage, shop, barn or other building, located either adjacent to your home or at another location (where facilities are available). Each Subscriber may be listed once in the alphabetical section of the directory without charge. Additional directory listings are available at an additional charge. Business subscribers receive a free, light type yellow page listing under the category of their choice. WWest Communications’ liability for damages arising from errors or omissions in listings is limited in accordance with its tariffs. With this service your telephone number is not listed in the directory but it is available from Directory Assistance. A non-published number is not in the directory and is not available from Directory Assistance. There is a small additional monthly recurring charge for non-published numbers. In the past, WWest Communications has tried to verify with our customers that they wanted to make a change in their Long Distance Carrier before we actually changed them. This was done to protect our customers from a practice known as “slamming”, where Long Distance Carriers would submit changes for customers without notifying them. New federal legislation has been passed, though, that no longer allows us to notify our customers when this happens. WWest Communications now has to change your carrier immediately upon notification with no verification. This is intended to encourage competition. Now, each time either you or a Long Distance Carrier requests a change to your Long Distance service, a fee of $15.00 will be charged to your account. To help protect our customers from “slamming” in the future, we are offering our customers a chance to freeze their current PIC (Primary Interexchange Carrier). This service will be free of charge and will remain on your line until you request it removed. If you want WWest Communications to place a PIC Freeze on your telephone account, please call our business office at 360-465-2211 and let us know and we will forward a form to you to sign, authorizing this freeze. Alternatively, you can print out the form from HERE and send it in. Your Service Representative has a basic responsibility to answer your questions and resolve your problems. If you’re not satisfied, feel free to ask for a supervisor. If your problem can’t be solved by the supervisor, ask for the manager. If your are not satisfied, you have the right to file a formal or informal complaint with the Washington Utilities and Transportation Commission. Alternative Operator Services are contacted by many restaurants, shopping malls, motels, convenience stores, etc. for public pay telephones located on their premises. The Federal Communications Commission (FCC) requires AOS providers to have information available to callers about services, and rates applicable to their call, as well as access to other operator services. 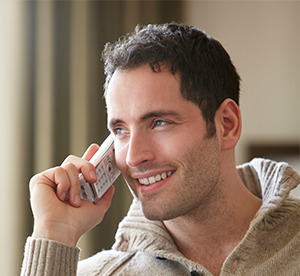 Some calling cards may not be valid for use with AOS providers; therefore we suggest you use a pre-paid phone card, or calling card issued by your current long distance carrier, if available. Complaints about AOS service, billing, and rates should be directed to the AOS company, and/or the FCC, at the address below, or call Toll Free 1-888-225-5322. Every effort is devoted toward providing you with the best possible telephone service. We shall appreciate your cooperation in reporting any service troubles or defective equipment. Wahkiakum West Telephone provides Lifeline Benefits to qualified subscribers in Grays River, Naselle and Rosburg. Call Wahkiakum West Telephone at 360-465-2211 for more information on the Lifeline program or to request a Lifeline application. Persons using Telecommunications Devices for the deaf (TTY) can communicate with other telephone users who don’t have a TTY. This service allows a hearing person without a TTY to call a TTY user, or a hearing impaired person to use their voice to talk to a non-TTY user. There is no charge to use the 24 hour, 7 day a week relay service. Call 1-800-833-6388. Directory Assistance for the hearing impaired: 1-800-855-1155. All telephone subscribers have the option to register for the national telemarketing “Do-Not-Call” list. This FREE service will decrease telemarketing calls to your home or business within about three months of registration. Call toll free 888-382-1222 from the phone number to be registered, or log onto www.donotcall.gov on the Internet. If you have questions, call WWest Communications at 465-2211 for more information. Beginning January 1, 2010 a late charge of 1% may be assessed on any past due charges.